Medical Disposables: Will Medical Marijuana Exempt Employee to Comply with a Drug-free Workplace? Will Medical Marijuana Exempt Employee to Comply with a Drug-free Workplace? In a 2012 statistical finding released by the National Survey in Drug Use and Health, there were 9.8 million full-time Americans adults who use drugs in the workplace including medical marijuana. In a separate study, it is found out that more or less 50% of industrial accidents are related to marijuana consumption. Despite the legal regulation of cannabis laboratories and dispensaries in few states, marijuana is still considered an illicit, strictly controlled drug under the federal law. Marijuana use in the workplace greatly affects the individual’s healthy, safety and productivity. Impaired thinking, reduced concentration, loss of balance and decreased reaction time are among the most known adverse affects of marijuana. Thus, every establishment strives for a drug free workplace recognizing the hazardous consequences of its use and its impact to the workers’ productivity. Note: Marijuana traces can be detected through blood, urine, saliva and hair samples from day 1 up to 6 weeks (or more) following utilization. The most common methods in detecting marijuana metabolites in the body are urine test, which determines past use of marijuana and blood test, which detects present intoxication of the drug. To promote a drug-free workplace and to increase productivity among workers, companies especially in the United States conduct a random marijuana drug test. According to the Drug-Free Workplace Act of 1988, any company or organization that is subjected to federal regulations should require random drug testing among employees including workers who use marijuana for medical purpose. Such federal concern has led to the rise of arguments and debates regarding marijuana use for medical reason in the workplace. This is because by federal law, marijuana is illegal and any activity relating to the drug (whether utilization, possession or trade) is a criminal offense. In Washington, employer can fire a worker who uses medical marijuana even the worker takes it up at home and does not elicit any impairment at work. But in keeping with the Disabilities Act (ADA) law, employers can still accommodate workers who have medical conditions that require the use of marijuana. But such consideration should be based on what defines a ‘reasonable accommodation’ of the law. This has then become a challenge for many employers since there is a clear-cut conflict between state laws and federal laws. For instance, Arizona allows medical marijuana use in the workplace, but Maine strictly prohibits the utilization of the drug in any place of employment. At present, there are no less than 13 states that employ medical marijuana laws including Alaska, Colorado, Hawaii, Montana, Nevada and Washington. Primarily, the aim of this law is to insulate doctors from criminal liability for prescribing marijuana to their patients for specific medical conditions. As a result of inconsistencies between the federal and state law, every state has statutory requirements that every employer should follow to be discharged from any legal consequences. For example, any worker who uses medical marijuana in Alaska must register with the Department of Health and Human Services and should secure identification cards for himself and the caregiver indicating the worker’s diagnosis and recommendation of marijuana use. In Arizona, any doctor can prescribed medical marijuana but this should be confirmed by a second doctor in which all opinions should be translated in written form and kept in the patient’s medical file. Meanwhile, the federal Department of Transportation released a new guideline that medical marijuana use is strongly not tolerated for transportation workers and those involve in safety-sensitive jobs such as ship captains and pilots (even in states where medical marijuana use is allowed). To deter legal liability, employers and companies should be keen on their stance regarding marijuana use in the workplace and notify prospective workers about medical marijuana policy in written form. In addition to that, employers should be clear about marijuana drug test policy particularly the consequences when found positive. Every employer has the right to maintain a drug-free establishment not only to protect the company against costly litigation but more essentially, to look after the safety of the workers. 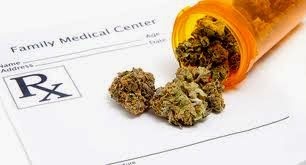 … so, the question is: does employers exempt workers who use medical marijuana to comply with the drug-free workplace? That depends on the state requirements and the company or the employer. At present time, many employers follow the federal law and anyone who finds violating it would be considered disobedience of the Drug-free Workplace Act. Workers with positive marijuana drug can be refused to get the job, fire from the job or get referral for drug rehab treatment.